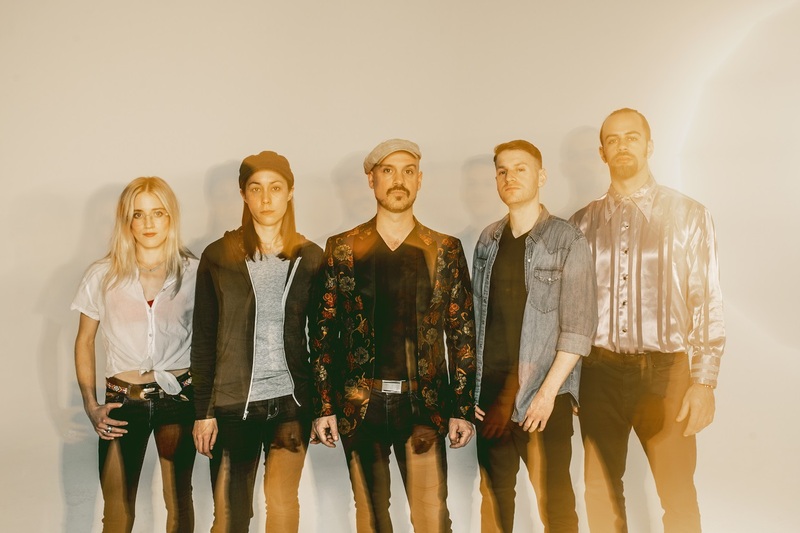 The alternative 5-piece band: Ghost Light are building their name through a gracefully executed fusion of live instrumentals, cinematic percussive elements, and a powerful musical vision. Unafraid to embrace the unconventional, their music endeavours to bring listeners to a place of transcendence, through a melding of emotional devices that range from pleasantly relaxing to at times catastrophically intense. 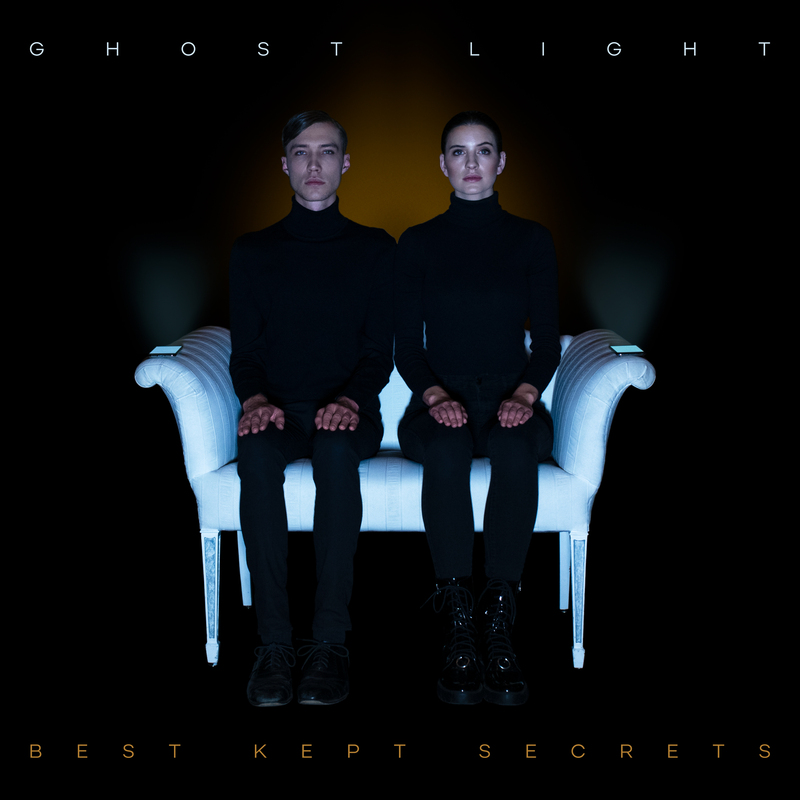 Atwood Magazine is honored to be premiering Ghost Light’s evocative debut studio album Best Kept Secrets, a body of work that has been in the making since 2017. Starting with band members Tom Hamilton and Raina Mullen, the pair began the creative process with a little “chemical assistance” through the usage of LSD, which reportedly helped them discover new combinations of styles and sounds, to create something wholly unique. The rest of the album came together in a rather interesting fashion, with each of the other group members visiting the original duo to add their respective parts into the mix. Once they had a firm arrangement, they met up at an old Chrysler warehouse in Philadelphia and began recording sessions before finalising the album. Best Kept Secrets starts off with an atmospheric entrance, introducing a wind chime motif we hear throughout the rest of the album. As the first track “Elegy” unfolds, an operatic voice cuts through thundering orchestral percussion and foreboding piano chords, preparing listeners for the emotional and tonal complexities that await throughout the rest of the album. The following track, “Diamond Eyes” is possibly one of the songs that won’t stick out to you upon first listen but will grow on you with future replays. One standout feature of the track is the clear spatial positioning of the instruments in the song’s second section. You can almost see the group sitting in that warehouse, riffing off each other and building on each other’s performance. Taking the energy and volume down a notch, Ghost Light continue with “Isosceles.” Through whispering, soft percussion, gentle harmonies, a recurrent guitar groove and at times syncopated soundscapes, the track leads listeners through a mesmeric, folky trance. Upon reaching the bridge, the energy rises through a cacophony of experimentation that introduces new sounds like a howling brass and electric organs, before returning to it’s previously subdued self. After “Isosceles” tapers off, the album’s true interlude “Beyond/Before” begins, which takes a trip south of the border with a bit of Latin flare. While the vocals sit out this round, the guitar steps in with some impressive riffs and slides that showcase the band’s instrumental prowess and add a nice emotional, human touch. “Keep Your Hands To Yourself” is the first track with a message that isn’t lyrically veiled. Musically, the track is highly repetitive and implements many tactics used in popular rock singalongs which are usually crowd pleasers. Light and full of energy, the track serves as a reference to the ever-growing #MeToo movement and frames consent in quite possibly the catchiest light possible through its bubbly timbre. Next up comes the instrumental track, “If Only, For Now,” which puts the windchimes motif front and center for the first half before taking a darker turn towards the end of the track, leading us into the most harrowing song of the album, “Doorway to a Silent Chamber.” The piece begins with anxiety-inducing dissonant piano chords that are offsetting until Raina Mullen’s calming voice enters the mix. The message she’s conveying isn’t necessarily clear at first, especially to those unfamiliar with American politics. However, upon digging it become’s apparent her “fourteen-thousand empty sneakers” is based on a display made in the United States Capital which memorialized the estimated seven thousand children killed by gun violence since the Sandy Hook Massacre of 2012. Upon making that connection, the track becomes almost unlistenable, as the emotions it stirs within are so great and upsetting. To be able to induce such a visceral reaction is a resounding musical accomplishment and a true testament to Ghost Light’s abilities. The chorus, which proclaims, “There’s no time now for talk, we’re at war” echoes the rebelliousness of the ’70s and frames it within the current political climate to great effect. Finally, after the emotional unrest of “If Only, For Now,” listeners arrive at the album’s namesake track. “Best Kept Secret” shifts the focus away from worldwide issues and back onto personal ones. While lyrics are always open to interpretation, this song can possibly be seen to relay groups’ personal message to their audience, conveying their own desires and experiences that led them to this point. The ending is certainly chaotic from a mastering standpoint, as the distortion grows to extreme levels as each member of the group makes sure they are heard as loudly as possible, in a powerful exclamation right before the album’s conclusion. Looking over the entire journey, Best Kept Secrets is an album that has broad enough lyrics to apply to one’s own circumstances, yet comprehensive enough to inspire specific social discussions. While some music conveys an artist’s message, this one seems to want to incite a response from its audience. In an age where we’re constantly blasted with opinions, Ghost Light gently guide us towards the issues they want us to focus on, rather than telling us how to think. Of course, those who aren’t into politics or world events will also find enjoyment listening to the album and simply absorbing the sonic frenzy from beginning to end. While this album isn’t for everyone, its complexities and eccentricities will surely bring in plenty of curious listeners and turn them into passionate fans, pushing Ghost Light to new heights. Best Kept Secrets is out everywhere Friday, March 22, 2019! Catch Ghost Light in concert throughout this spring and summer.